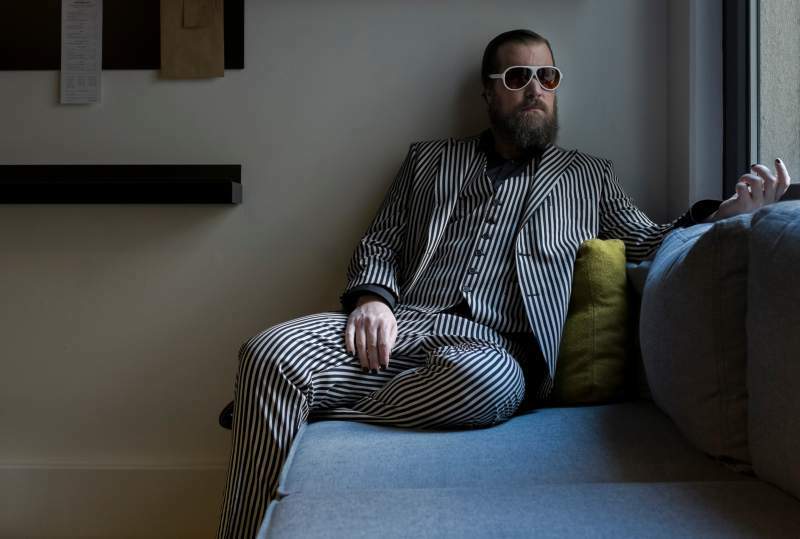 John Grant’s difficult, dramatic rise to acclaim has been documented well enough in recent years – his apprenticeship years as part of the shamefully neglected band The Czars, battling through addictions to drugs and alcohol and coping with depression – but it’s still worth noting just how much John Grant’s life has changed in the last few years. After a period of silence following the demise of The Czars, his Midlake-backed solo debut Queen of Denmark slowly amassed a cult following on its release in 2010, building a sizeable fan-base that went overground with 2013’s electronics-laden Pale Green Ghosts. As he prepares to put a full stop on Pale Green Ghosts before a third solo album, he’s getting ready for his most ambitious tour to date accompanied by Royal Northern Sinfonia, which stops at the Sage Gateshead on Friday 28th November. Speaking to me ahead of this latest endeavour, Grant proved as charming, as engaged and as honest as his songs might suggest, despite an unfortunate case of ‘flu. Asked about the catalyst for the tour, Grant proves effusive. “I’ve always wanted to do this sort of thing, I’ve always thought that I would love it. I have a lot of orchestral arrangements on my albums, so to me it was a no-brainer, if you will. I always thought that it would be the perfect thing to do, but that I would never afford it, but here we are, and all of a sudden it’s happening. John Grant with Royal Northern Sinfonia play the Sage Gateshead on Friday 28th November.